2010 saw the gotha’s art of the world and the highest Italian authorities step on the sidewalk of Via Reni for the long-awaited inauguration of the National Museum of the XXI Century Arts. The structure rises in the spaces of the former Casello Montello al Flaminio and it is one of the few areas of the Capital where it is possible to find a “spontaneous” exposition of contemporary architecture: from the Olympic Village of Luigi Moretti to the Sports Palace of Pierluigi Nervi, up to the Renzo Piano Auditorium. The project, commissioned by the then mayor Rutelli, bears the signature of the archistar Zaha Hadid. It is a tubular and labyrinthine continuum that in some ways recalls the crossroads of the ring road at the Casilina: it has its own because, even if its “atypical” design is a continuous challenge to imagine the spaces in which to place the works on display . 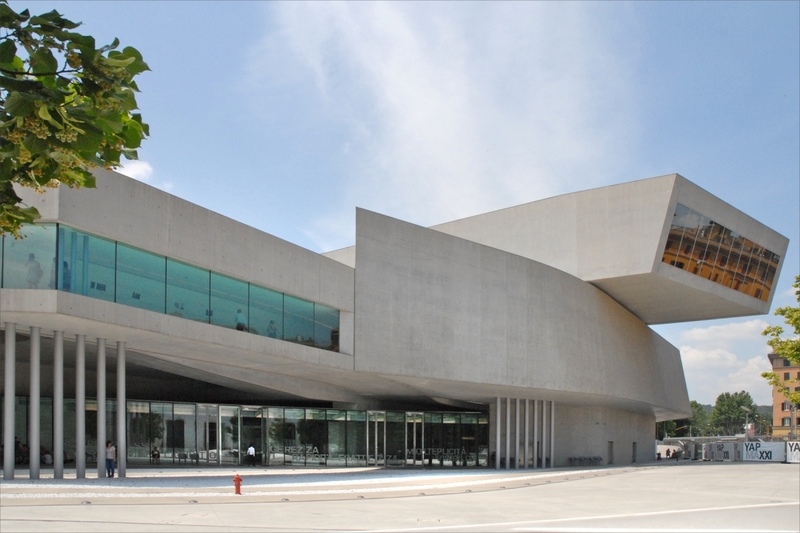 Two bodies, which follow the main areas of interest, which are entrusted with the care of the contents: MAXXI Arte and MAXXI Architettura. Not yet a catalyst of interests like other structures of other European capitals, but after a period of uncertainty and possible black crisis, it has begun to breathe international air thanks to the artistic direction of Hou Hanru. In addition to the exhibitions, scheduled film screenings, meetings and open air initiatives in the summer months, when the project to transform the entrance courtyard of the museum into a public square is completed. The MAXXI Architecture collections (20th Century Collections, 21st Century Collections, Photography Collections) include all those products and documents that, in different forms, represent the material and conceptual complexity of architecture through its evolutionary processes: from conceptual production , physical realization, use and its insertion in the physical and cultural context. Aldo Rossi, Enrico Del Debbio, Carlo Scarpa, Pier Luigi Nervi, Paolo Soleri, Vittorio De Feo, Maurizio Sacripanti, Alessandro Anselmi, Giancarlo De Carlo, Carlo Aymonino, Superstudio are some of the Italian protagonists in the collections, which include over 50 funds: about 60,000 drawings, 75,000 photographs, numerous models, letters and documents, sculptures, tempera, printed materials. Olivo Barbieri, Gabriele Basilico, Letizia Battaglia, John Davies, Mimmo Jodice, Armin Linke, Guido Guidi, Walter Niedermayr, and Massimo Vitali are just some of the more than 60 photographers in the collection. About 1000 prints by contemporary authors: photography is a line of the Museum of Architecture for the role of communication medium that it can play in the presentation of both the physical structure of the space and for the analysis of the dynamics that are implemented in it. The collections are constantly increased by purchases, donations and commissions following exhibitions, competitions or prizes.